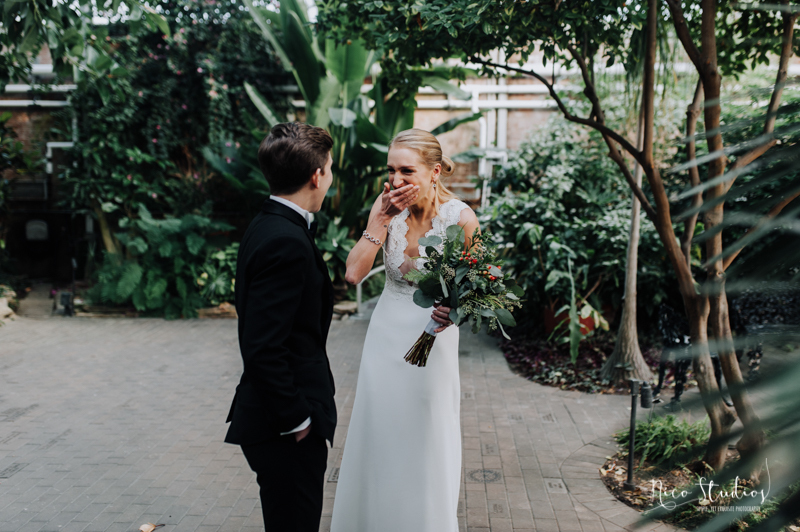 Goodness, where do I even start? 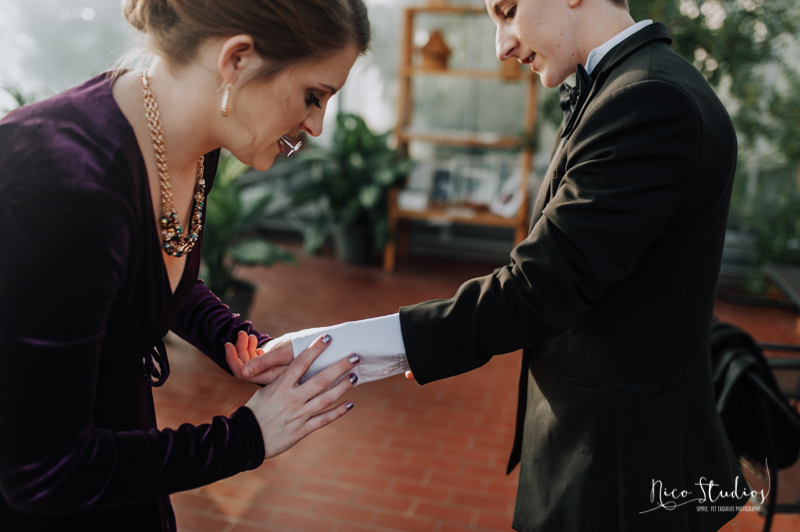 I ended my 2018 wedding season photographing the amazing and elegant downtown South Bend wedding of Lerin & Hanna. 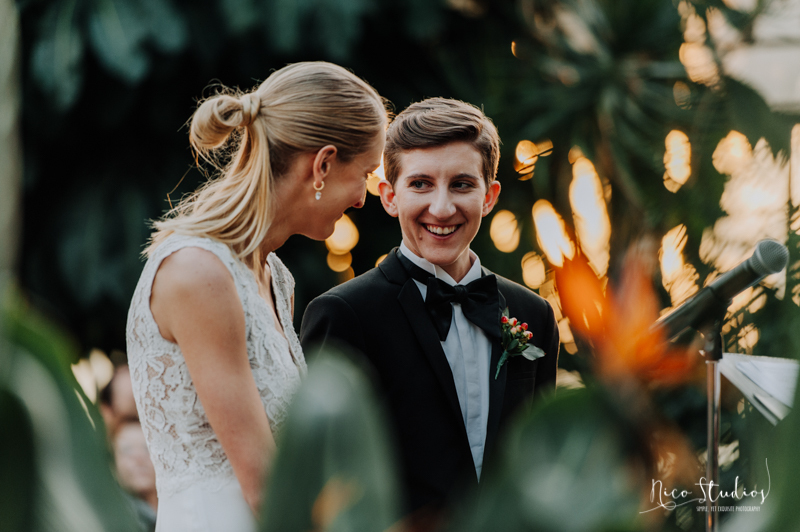 This wedding was so simple, yet so detailed all at the same time with the main focus being on the love Lerin & Hanna have for each other. 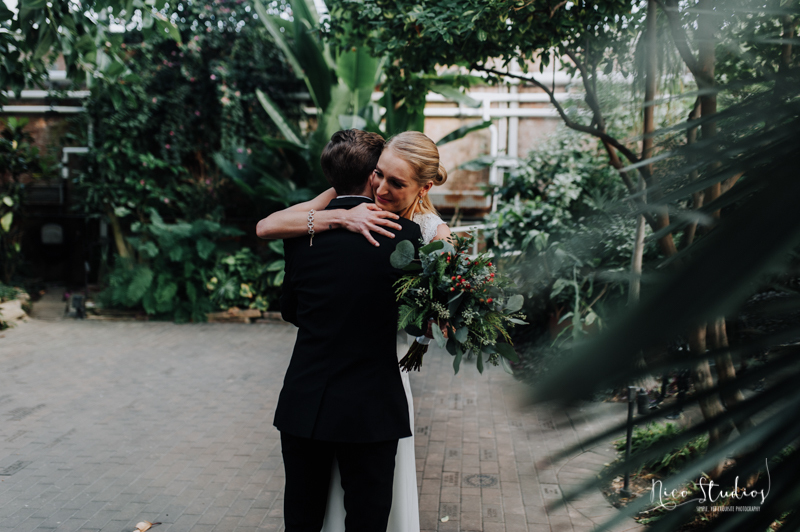 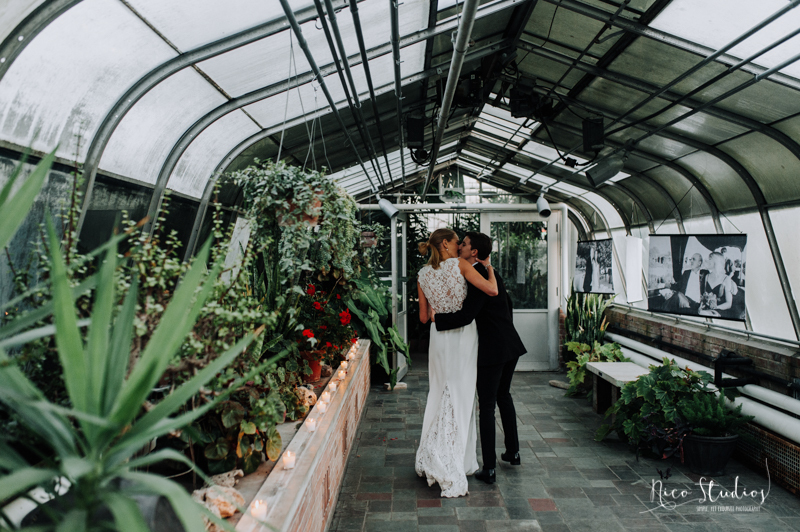 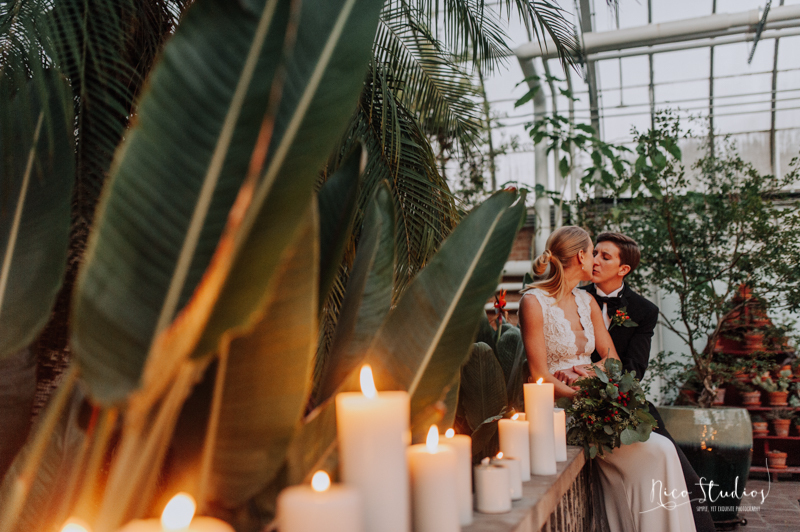 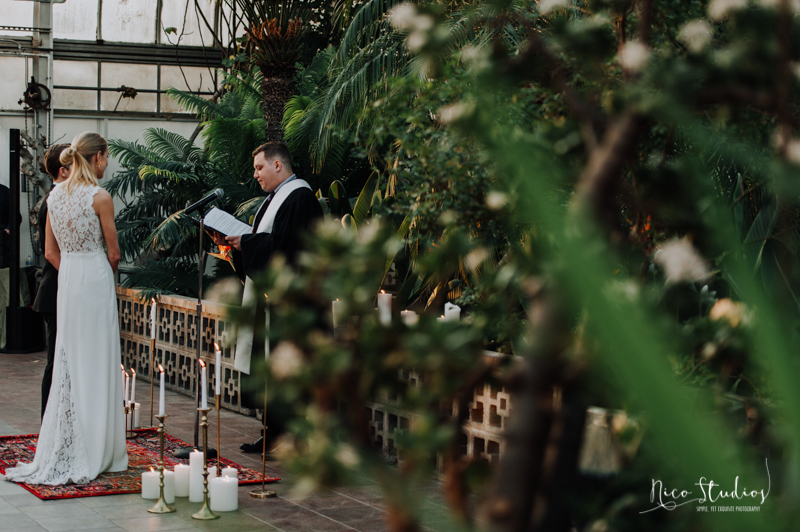 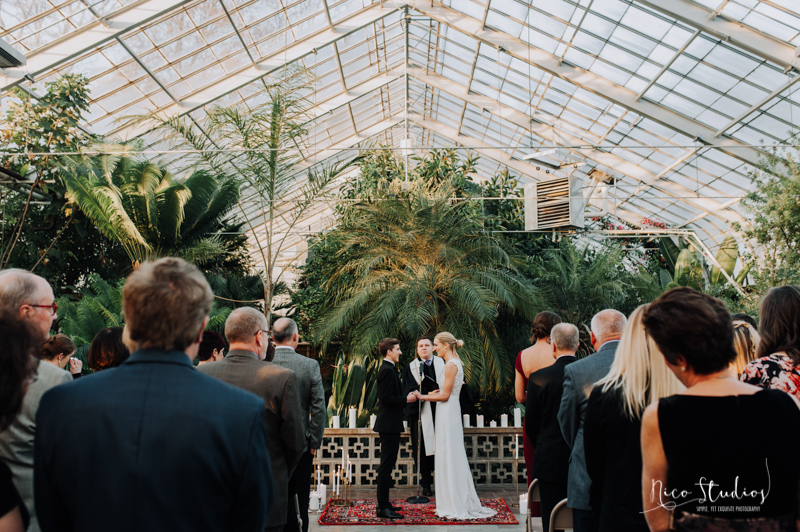 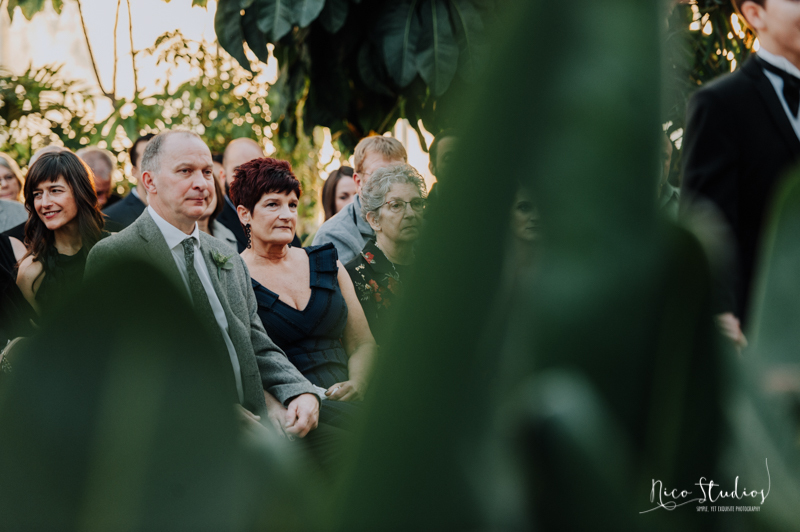 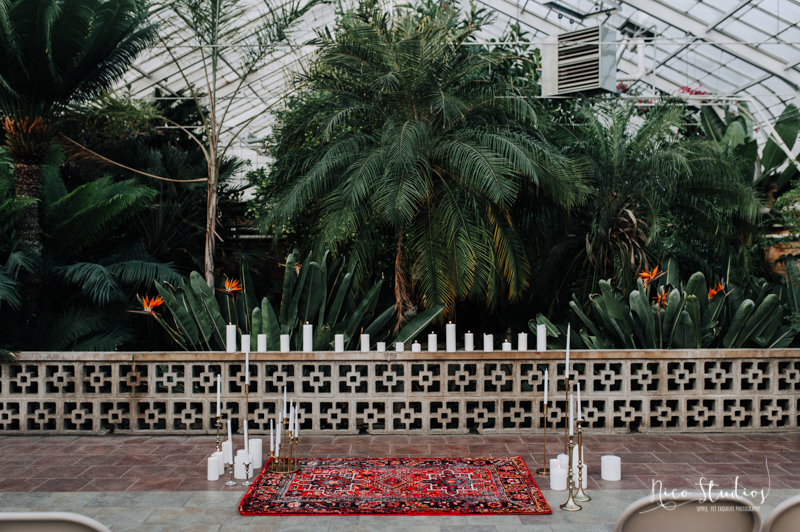 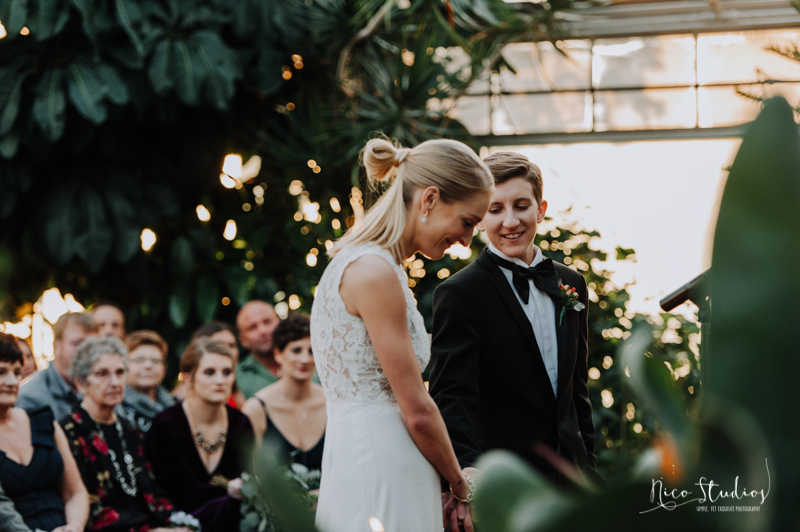 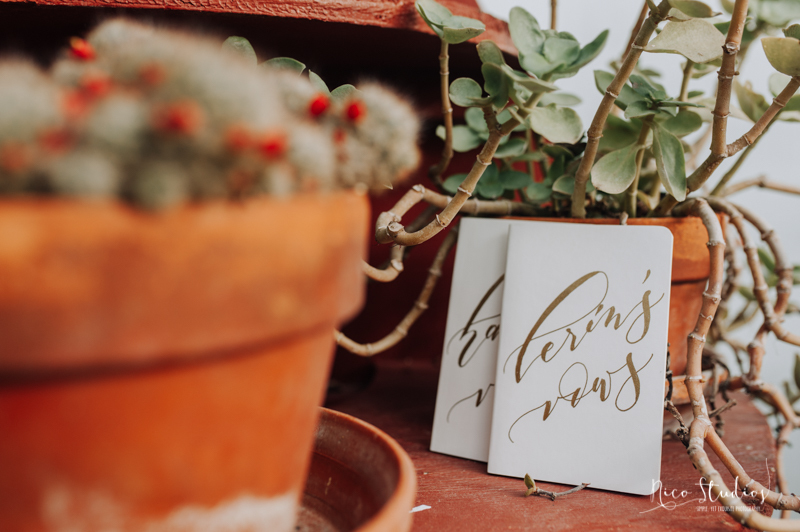 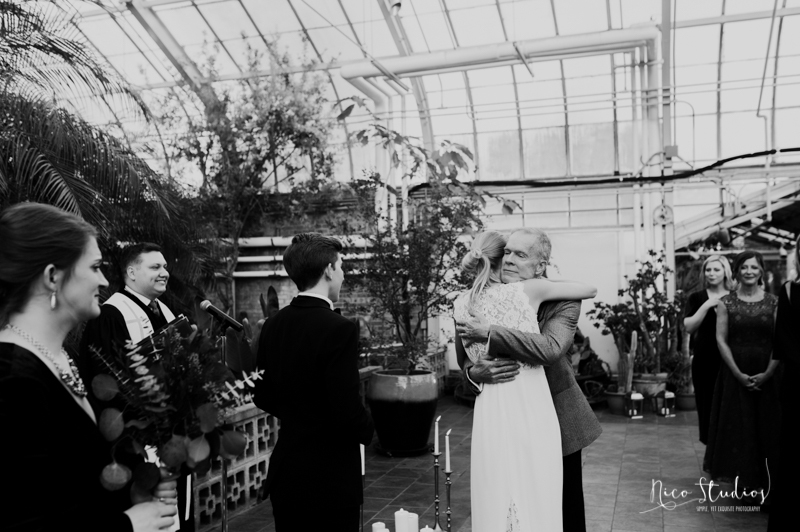 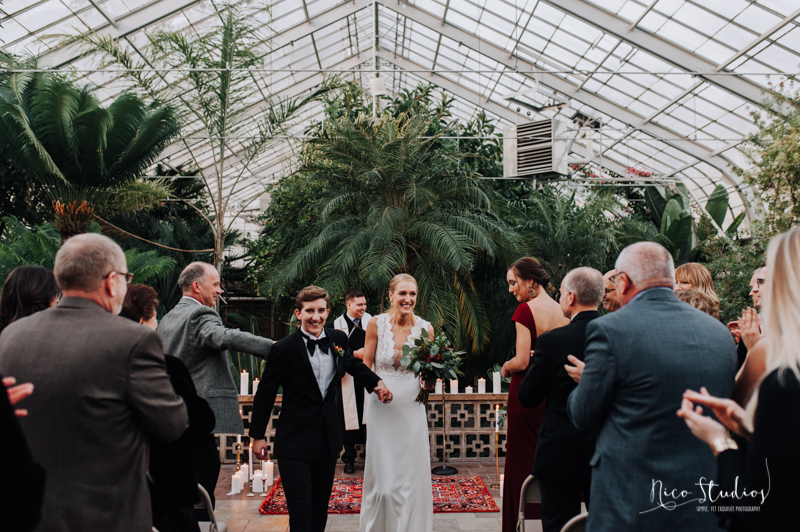 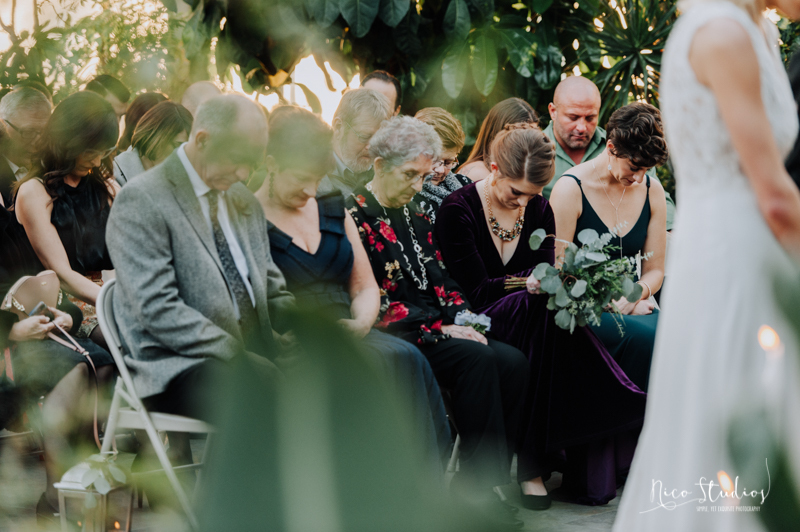 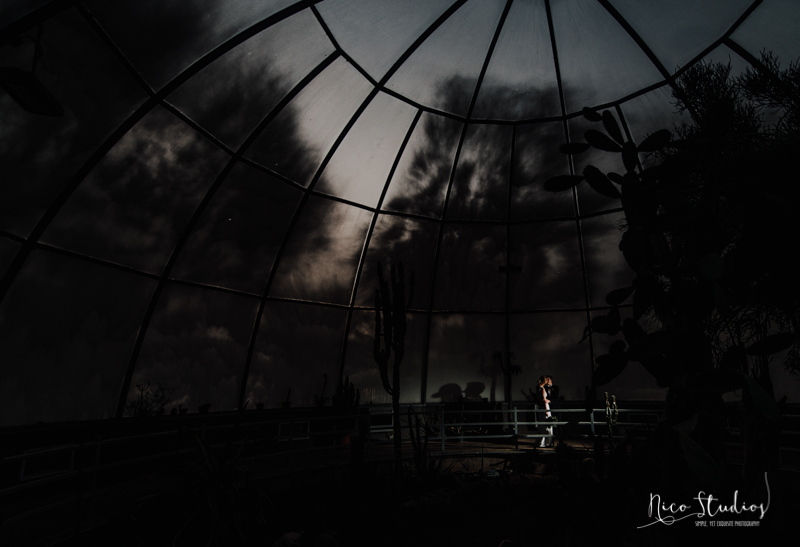 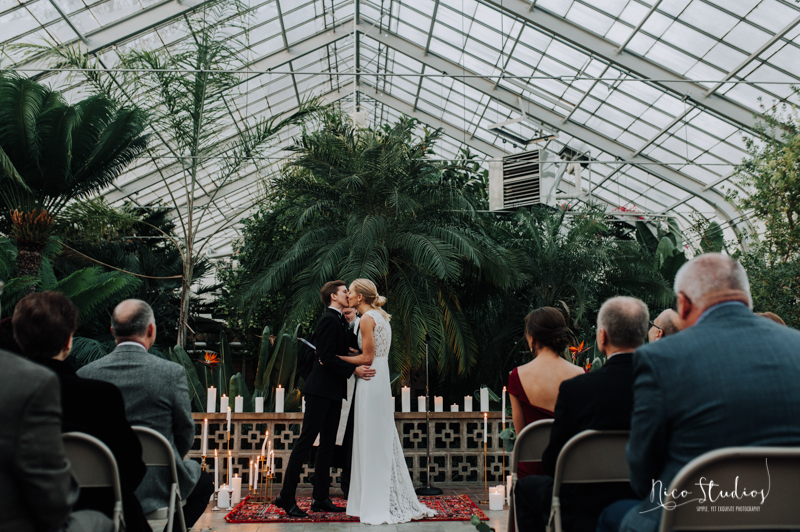 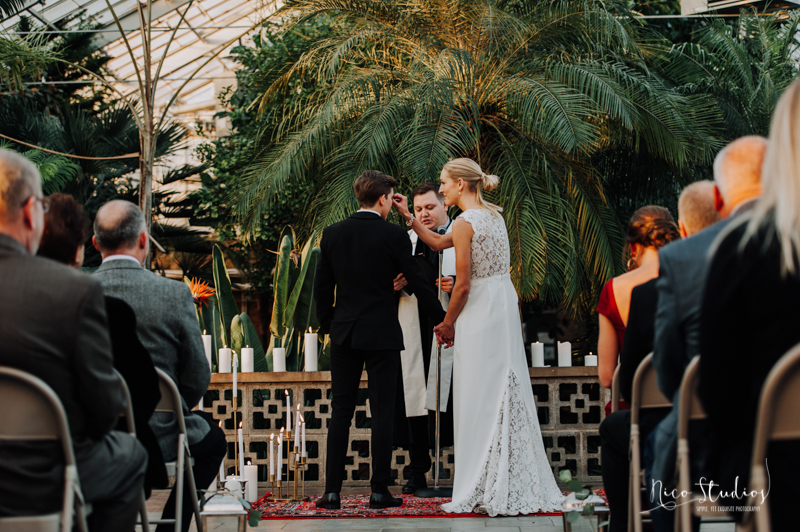 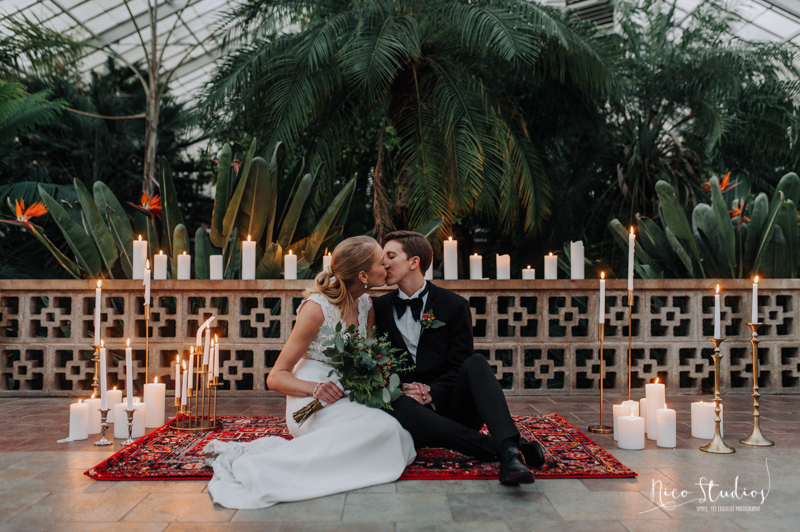 They said their vows in front of their family and friends, among the foliage and cacti of the South Bend Conservatory and officiated by Rev. 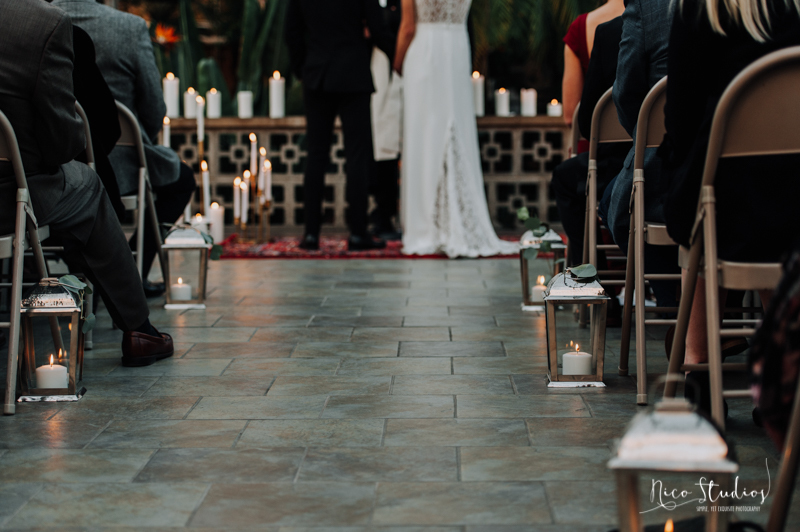 Taylor Hall, from Sunnyside Presbyterian Church. 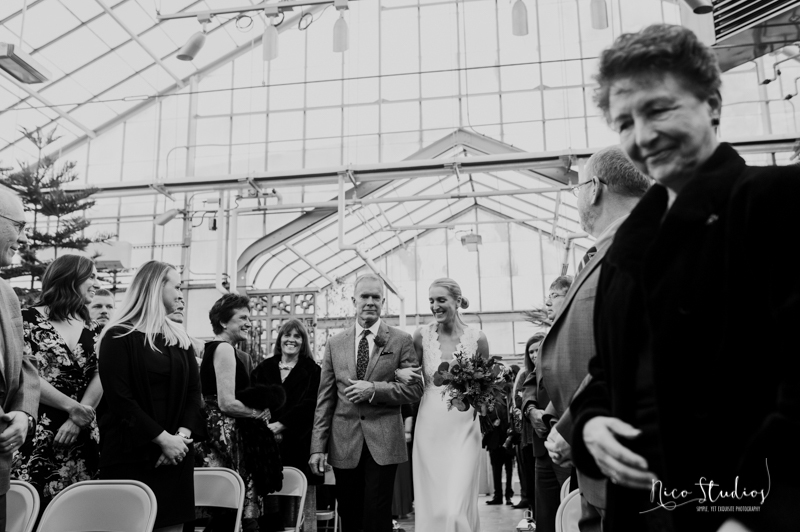 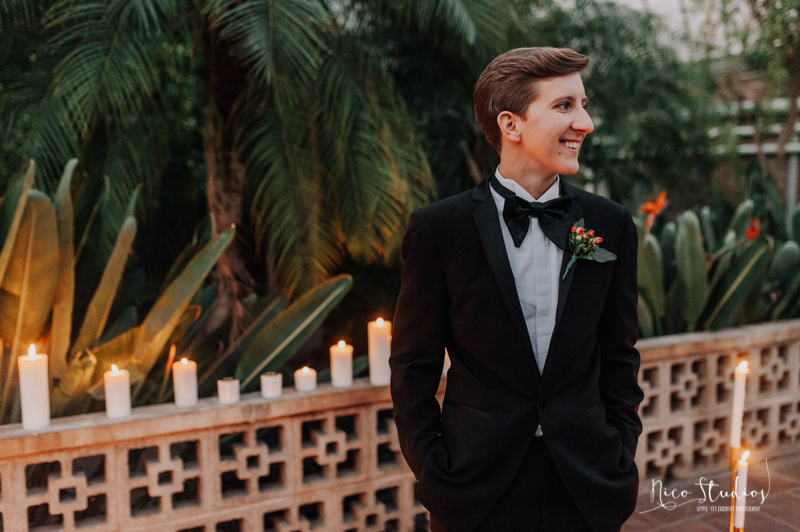 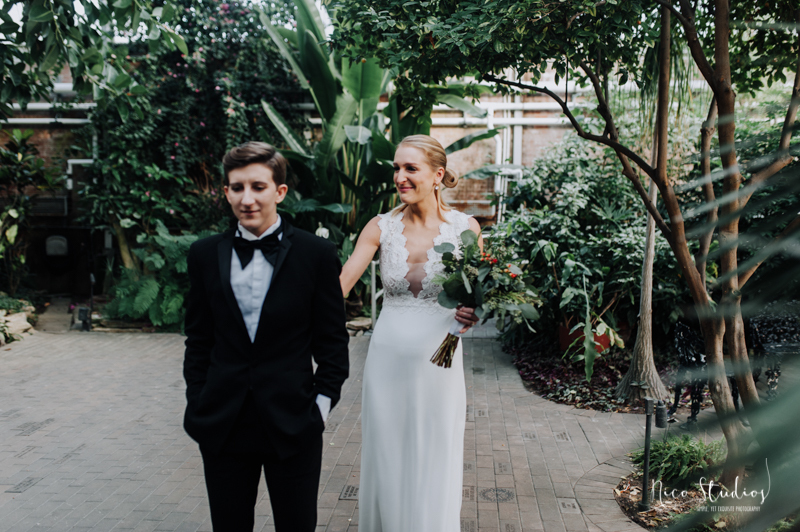 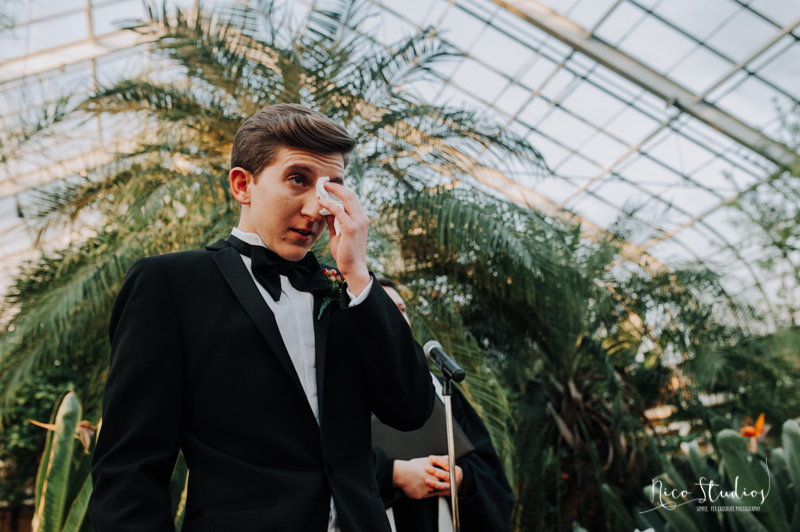 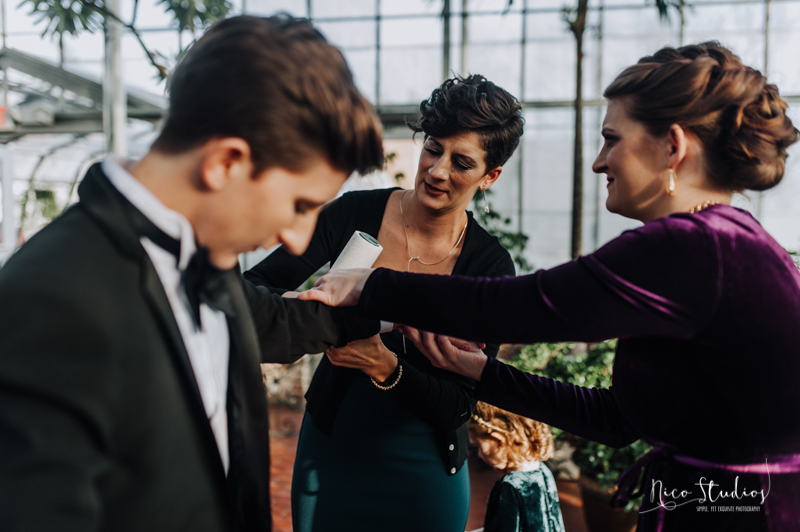 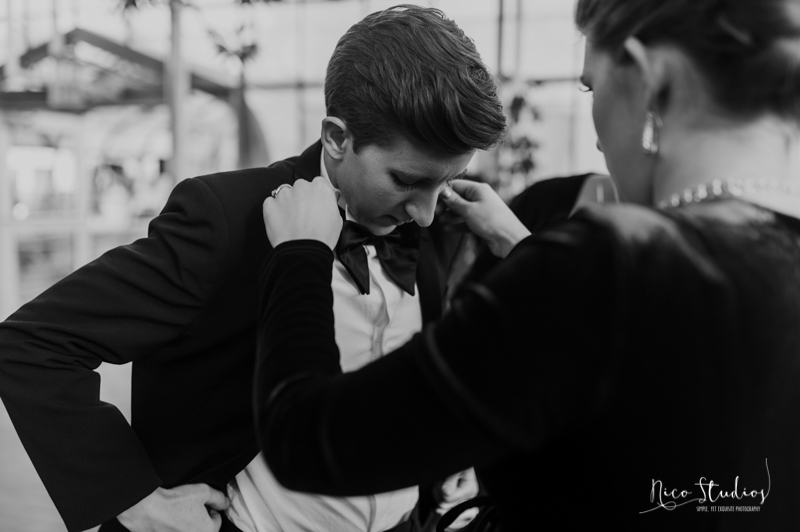 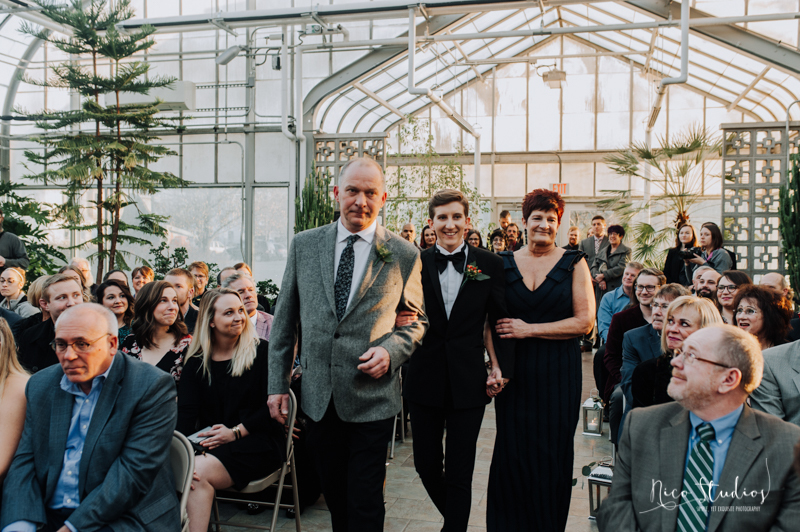 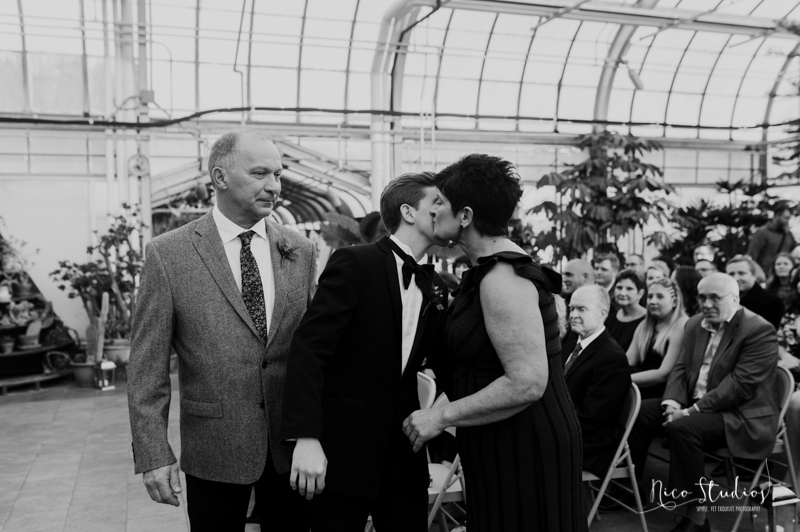 Lerin, wearing a tux from ASOS and tailored by South Bend Seamstress was escorted down the aisle by both her mother and father. 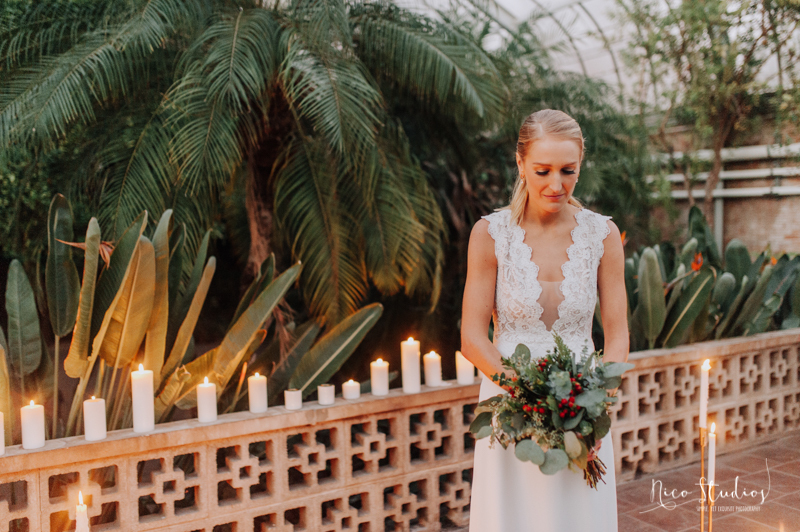 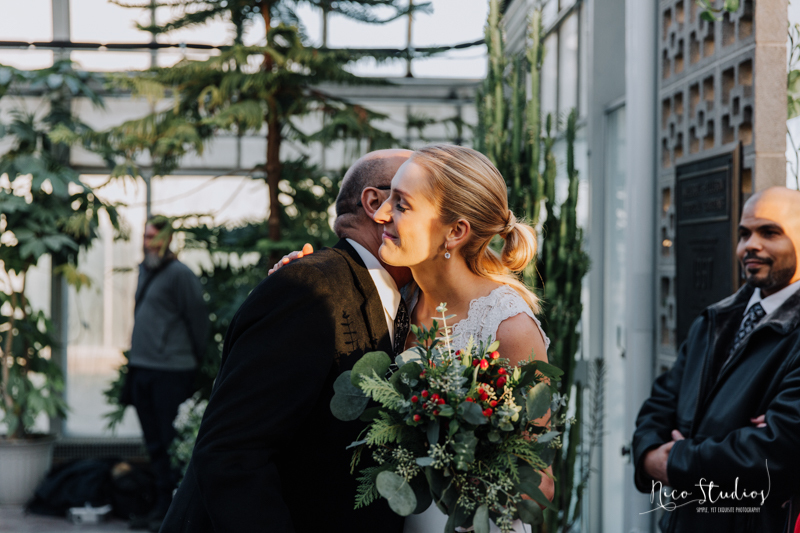 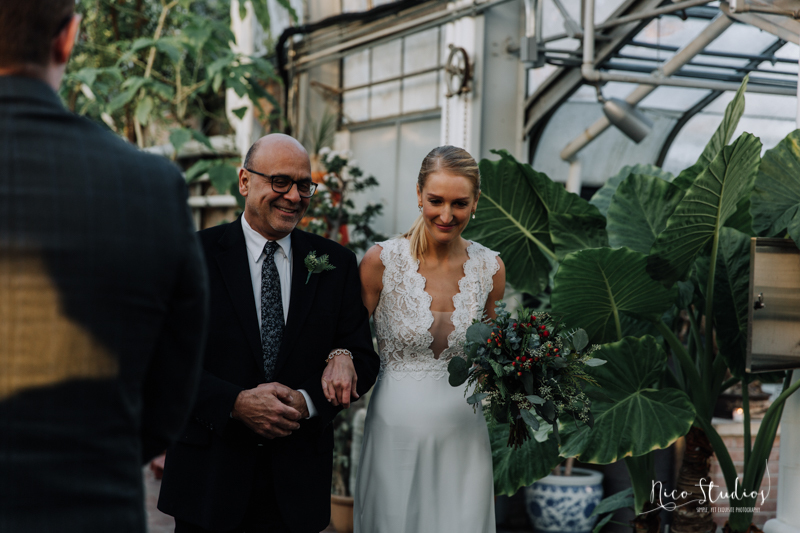 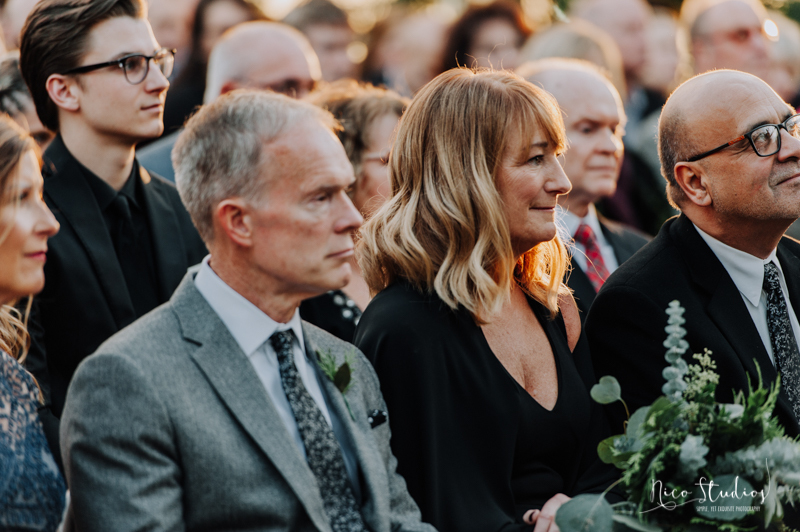 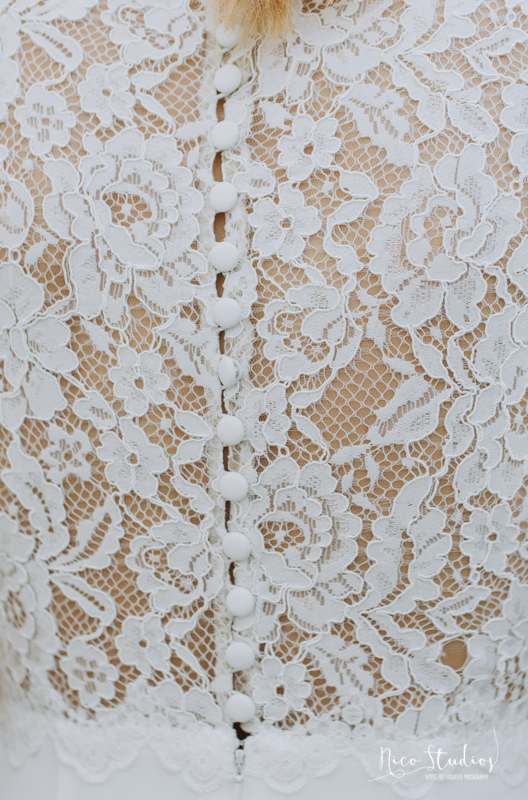 Hanna wore a simple A line gown, with a deep v neckline adorned with lace and lace back with buttons by Tadashi Shoji from BHLDN, she was escorted by both her father and step father down the aisle while carrying a bouquet from Martins Floral. 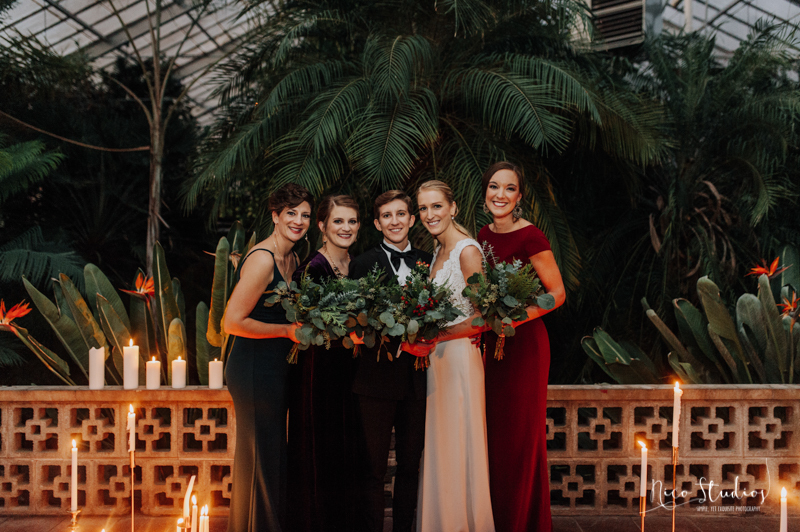 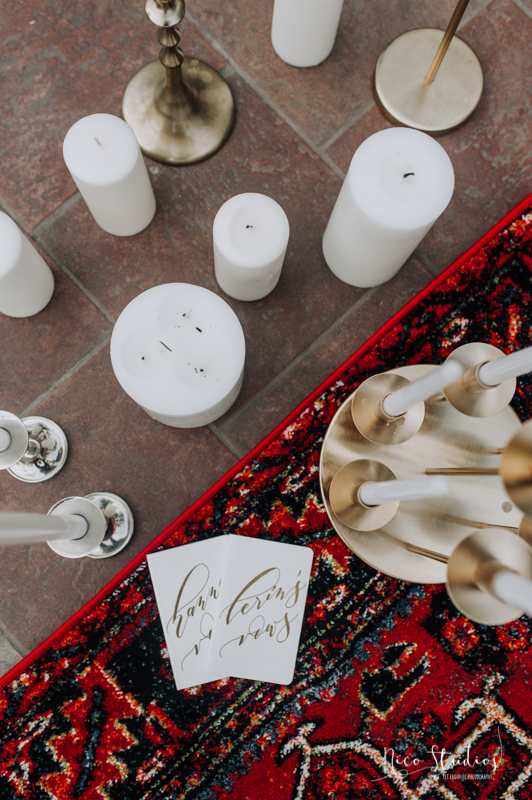 Their wedding party was minimalistic, only including their sisters who also wore dresses from BHLDN in rich jewel tones. 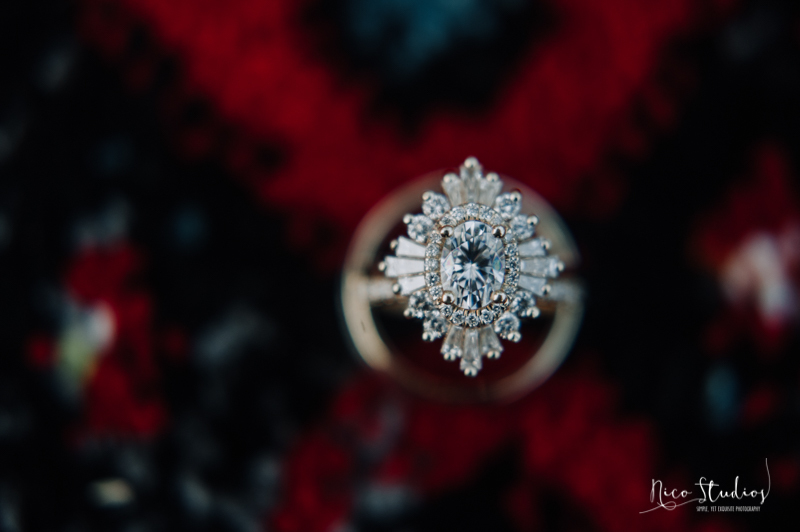 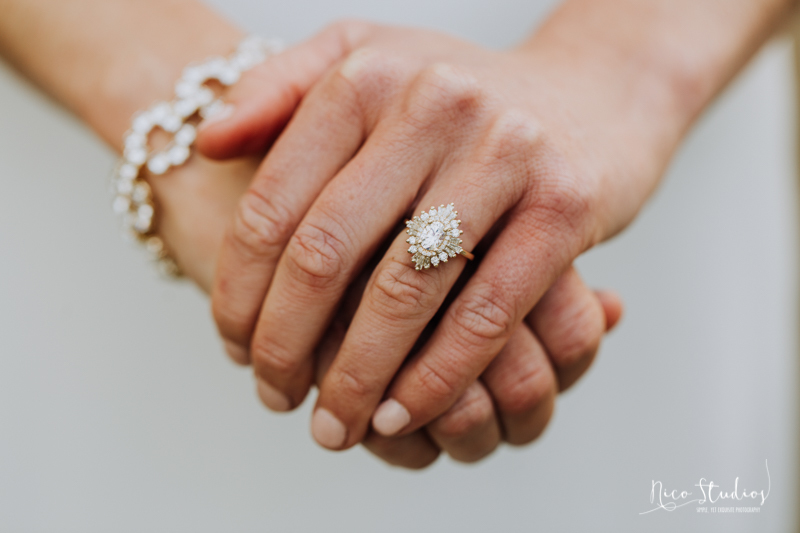 Lerin & Hanna’s rings were by JR Fox Jewelers. 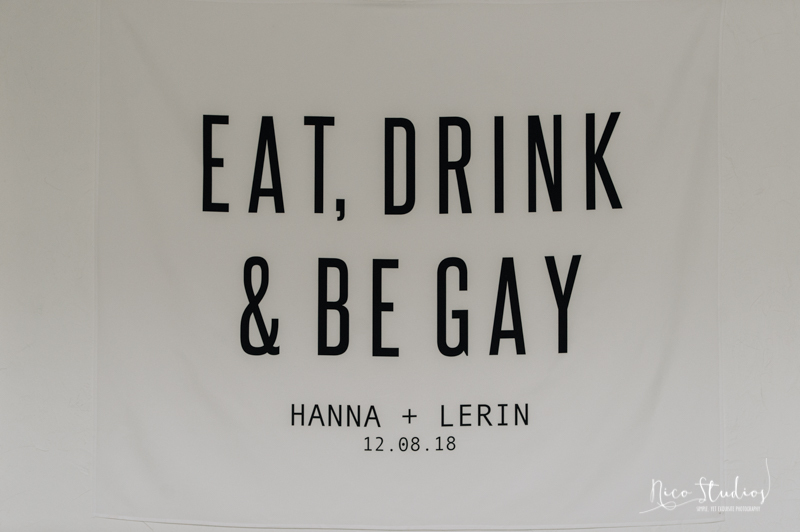 The couple first met at a coffee shop, where Hanna was employed as a barista and Lerin was a frequent customer. 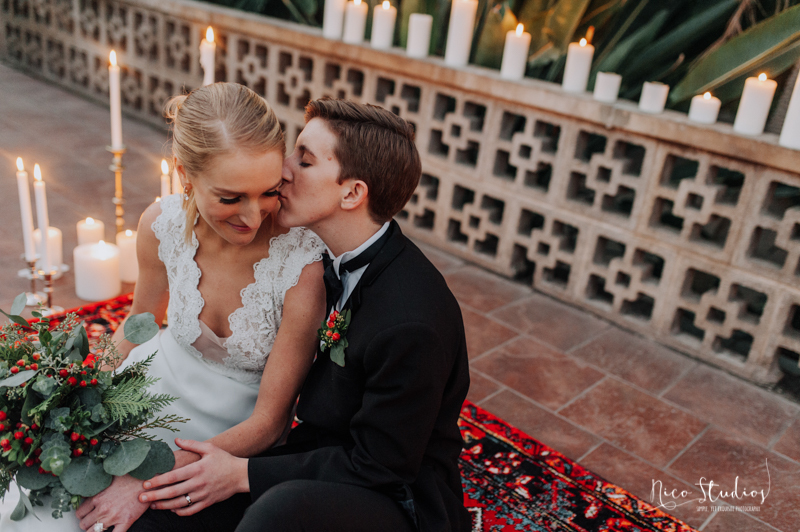 Hanna left to study abroad and upon returning they ran into each other at a different downtown coffeeshop. 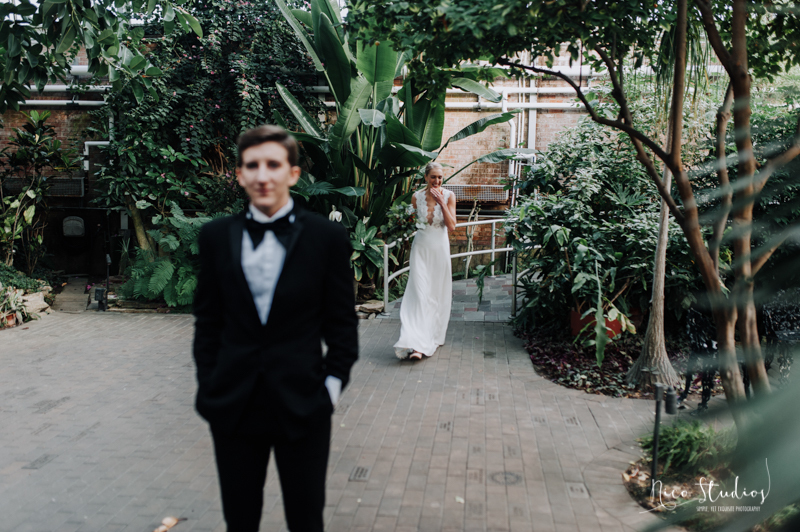 Eventually they began spending all their time together and realized there was much more to their relationship than just friendship. 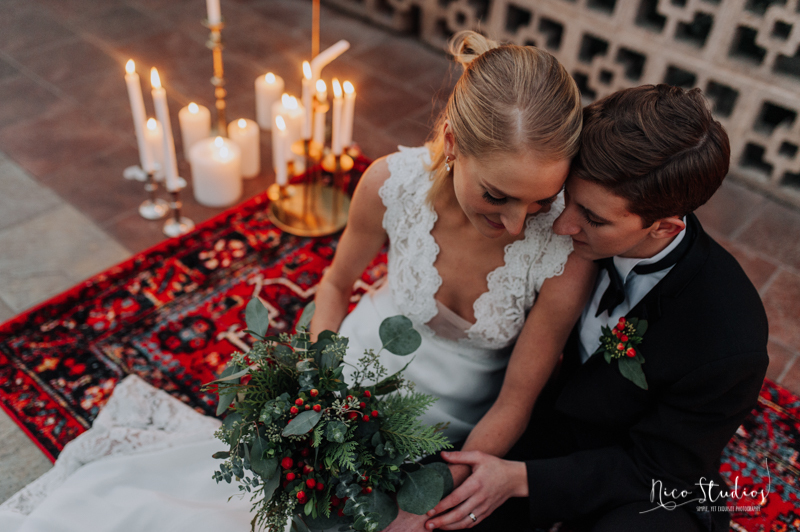 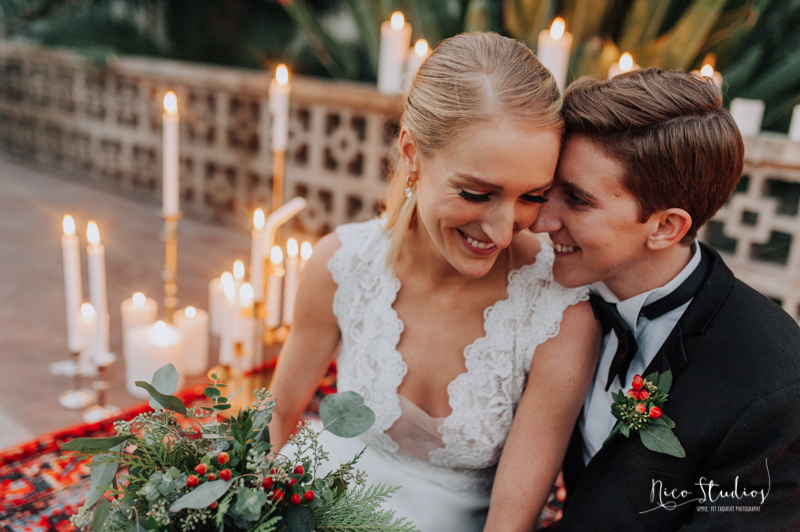 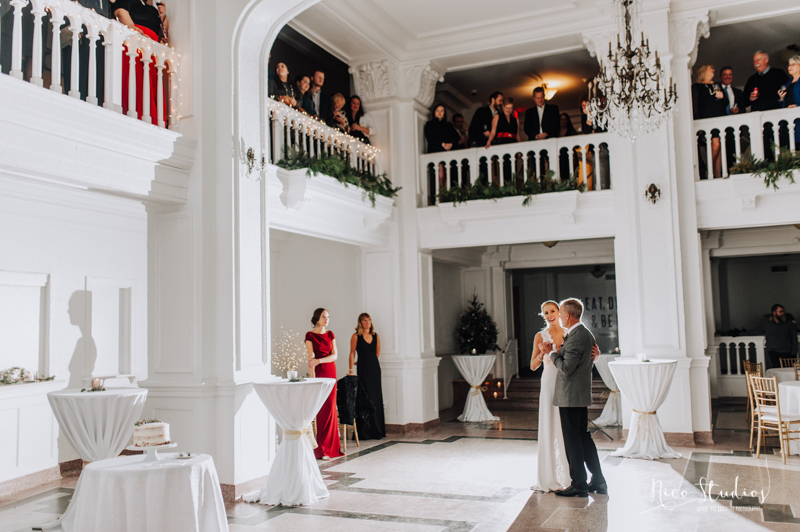 Lerin & Hanna originally planned to have their reception at the JC Lauber Building downtown South Bend, but it was under construction and did not get finished in time. 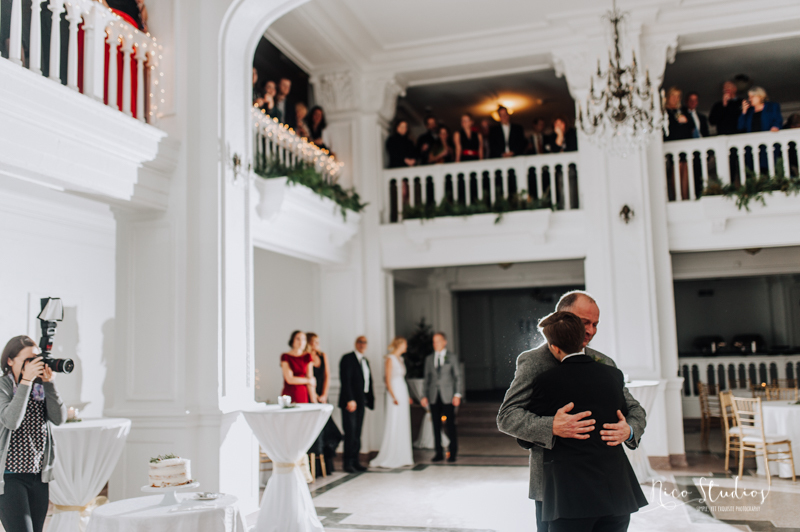 They were able to secure a replacement reception venue at The LaSalle another great downtown South Bend wedding venue which, while not their first choice was a great runner up. 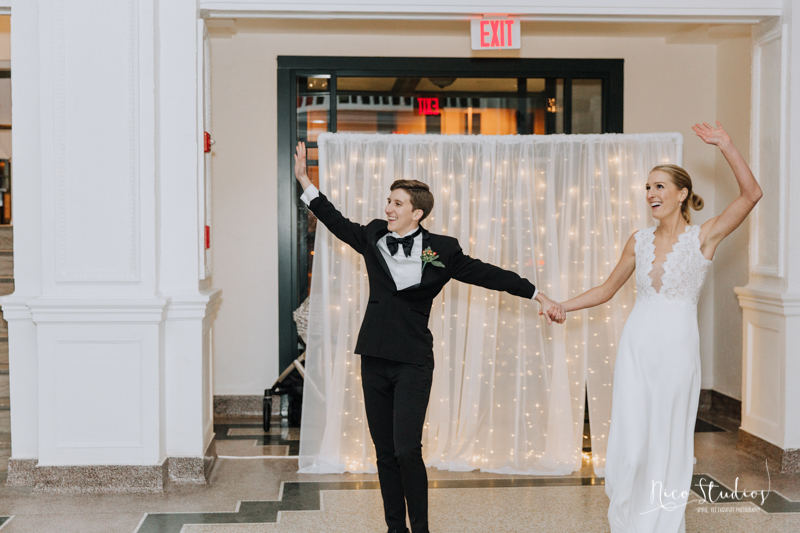 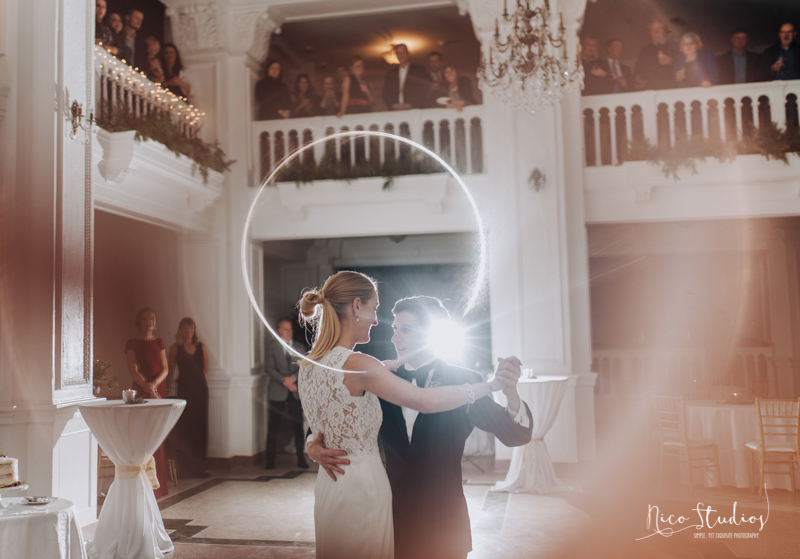 They were welcomed into their reception by all of their guests looking down onto them from the upper level and immediately went into their first dance to “La Vie En Rose” by Louis Armstrong. 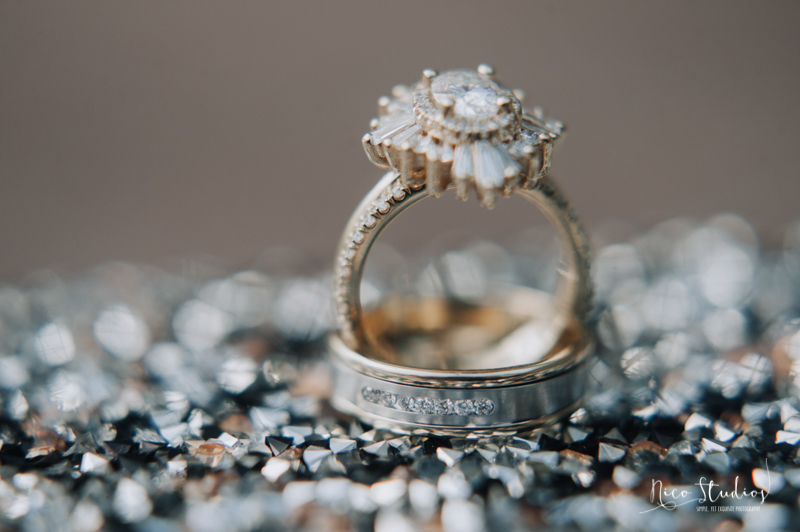 They said the song fit them perfectly and they had picked it long before they were ever engaged. 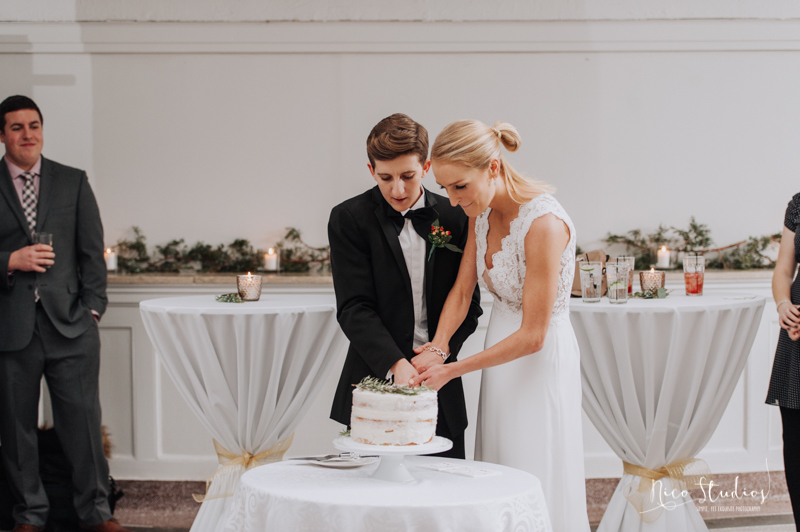 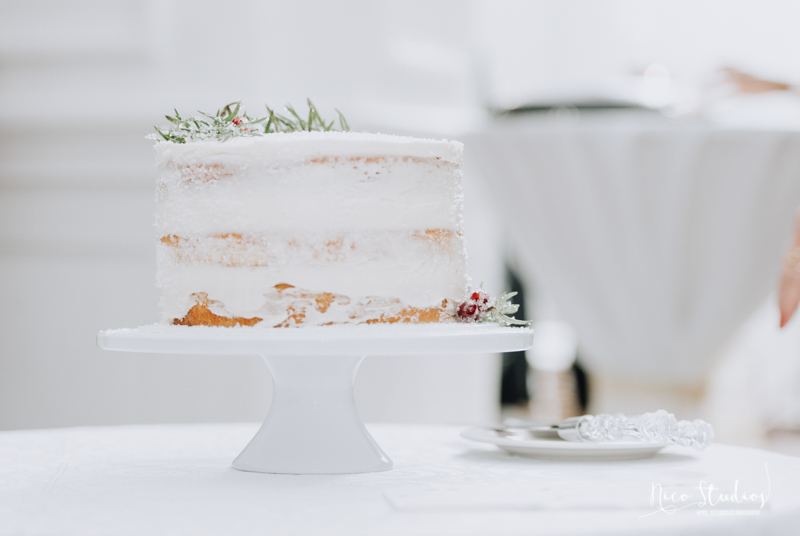 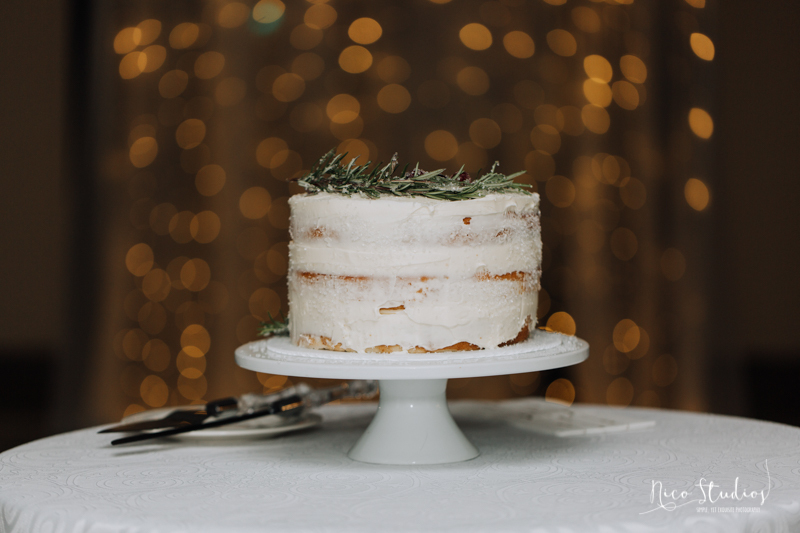 Their reception was a casual affair with finger foods for dinner catered by Jerry Paliga and a simple cake by Hanna’s mother Jennifer Perri. 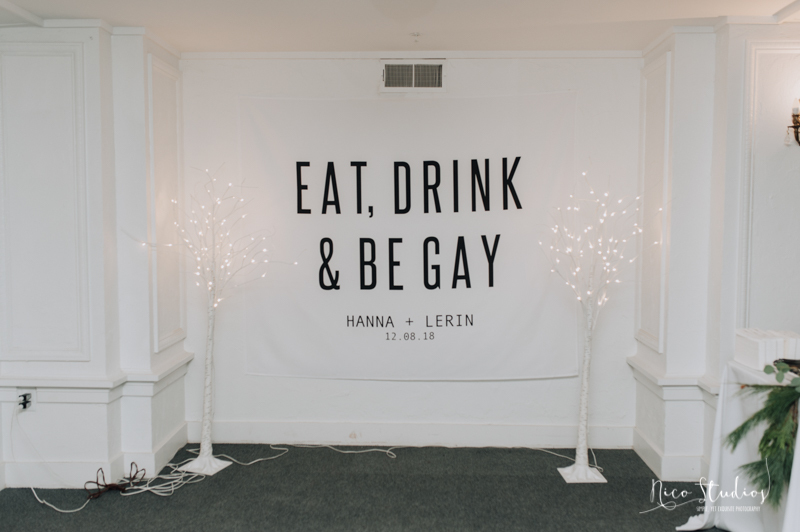 They were able to eat, drink and be gay (!) 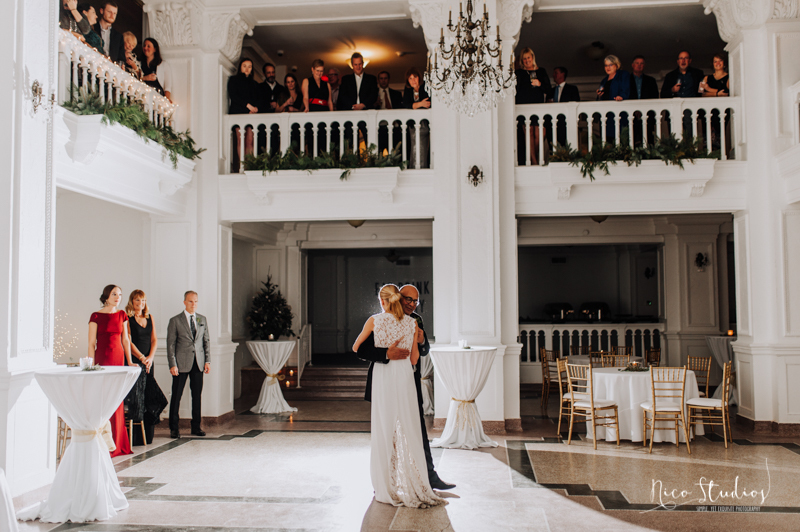 with all of their friends and family with music played by The Music Machine.